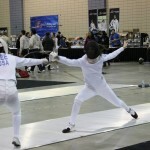 ← Olympia’s Fencer Places Seventh At The European Cadet Circuit, in Helsinki. In a plethora of hundreds of US’ strongest epeeists, Olympia Fencing Center’s boys and girls have placed four times in Top 16 and had five fencers in top 64! Huge participation at this year’s Junior Olympics, in Richmond, VA!! 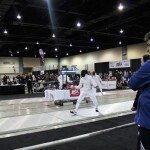 Close to, or over 200 registrants, in each Epee individual event and 20 to 37, in teams, have taken over Richmond, this past weekend. Joshua Wolkoff: 11th out of 245 and best New England result! Coaches, parents, club mates, back home – we’re extremely proud of all our fencers present at this big event and we’re looking forward to grow with you!! 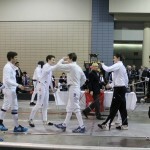 This entry was posted in Club News and tagged Daniel Hondor, Iliya Mechkov, Joshua Wolkoff, Junior Olympics 2015. Bookmark the permalink.